Excellent company. I could tell that the techs have been well trained in their customer service and skills. Did not try to upsell anything. Solved my problem for a fair price. I will definetly use them again if needed. Great customer service and attention to detail. Would recommend them to my neighbors and friends. They were honest, capable and prompt. They inspected and said we didn't need a cleaning. They do good work however they struggle with being responsive to scheduling and returning calls. Cleaned up. Showed up on time. Completed the job! All Swept Up is a great company to work with. Bill and Andrew are very knowledgeable about fireplaces of all kinds. Price very reasonable. I highly recommend this company! A great company to work with. We were so happy with their professionalism and prompt responses! They are dependable, they called and scheduled my time, and I enjoyed their services. Company worked me in their schedule at last minute to inspect chimney. We had a scheduling mix up on the day they were supposed to come. When I called, they said the mistake was on their end and sincerely apologized. They came first thing the next day. Very friendly and nice people ! Doesn?t recommend work that really does not need to be done! Very satisfied ! Great price, very professional, and outstanding work. Had an old gas insert fireplace removed and couldn?t be more pleased. Friendly and professional service on the chimney. Our only complaint was that they left a large oil spot on our driveway. They need to check the crankcase or trade up for an electric vehicle. Very knowledgeable. Interviewed other companies but these were the only guys that actually listened to what I was asking and provided (better) alternative options. Others just gave estimates I asked for. These guys talked over ways to solve my problem which is what I needed since I am not a fireplace expert. Work was done well, on time, and at a very reasonable cost. Very satisfied with knowledge, workmanship, courtesy, and service. Would absolutely recommend them to anyone. Do to schedule, still waiting for job to complete, but am pleased with the work done so far. Very professional they were running late they called to advise me of that made sure new eta would work showed up got to work great job highly recommended. Honest, straightforward, did good work, and communicated well throughout the project. I really felt like they were very family oriented and they were time conscious. They came in cleaned and inspected my chimney. Within a day they had my report and estimate of what it would cost to do repairs. I liked them a lot. I would recommend them. The men that came were very helpful and cleaned up after. They did not mess around they came in did their job and left. Very knowledgeable, explained what was wrong with the fireplace and how to fix it. Took pictures to discuss with the estimates for final repair estimate. Very happy with svc. Very professional. My house was for sale and the inspector had issues with my fireplace. They came in and found that the inspector was wrong about what he said needed fixed. They performed a general maintenance and were on their way saving me all sorts of money. We had a miscommunication but the owner went above and beyond to make it right. Very professional. Friendly. On time. Job ver well done. They converted our wood-burning fireplace to a gas fireplace quickly and with great quality. Professional reliable really cares about customer service we are having them back for a repair. Derrick was very easy to work with. I'd call them again for my chimney needs. Thanks so much. They swept the chimney and made suggestions for further work. They were on time and friendly. Seemed to be knowledgeable and thorough. I called to inquire about pricing and availability to repair a chimney cap. They responded immediately and were able to do the repair the same day. I got my chimney serviced the same day I called. Bill was efficient, polite and explained what was involved. I had a wood burning stove/chimney installed in my cabin. I really had no idea where to begin looking for someone to do the installation. This is due to the remote location of my cabin in southern Indiana. 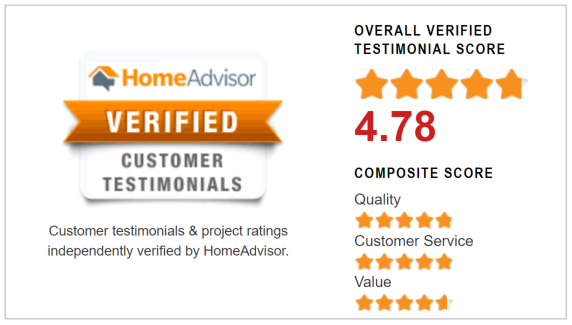 I found All Swept Up Chimney services on home advisor and couldn’t be more satisfied! They contacted me in a timely fashion and showed up on time, every time. Derrick thoroughly explained what type of chimney that was required for my stove. Also, he explained the pros and cons to each choice that I had. Their price was very reasonable and I have full confidence that the work was completed in a professional manner. The entire process went smoothly and I highly recommend their services.